A fanfare of sunny strawberry, zingy lime and tart blackcurrant. Refreshing throat hit with mouthwatering citrus afternotes and a warm hint of vanilla. A deliciously fruity steam. 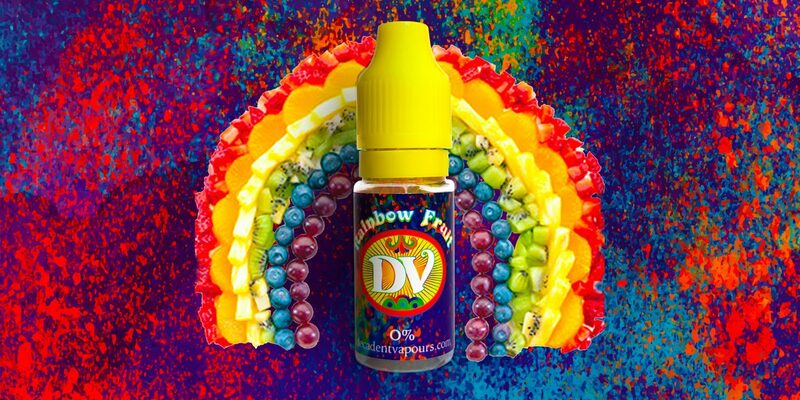 DV’s Rainbow Fruit E-liquid is sure to delight anyone familiar with Skittles sweets. It’s a fanfare of sunny strawberry, zingy lime and tart blackcurrant. Refreshing throat hit with mouthwatering citrus afternotes. A deliciously fruity steam.